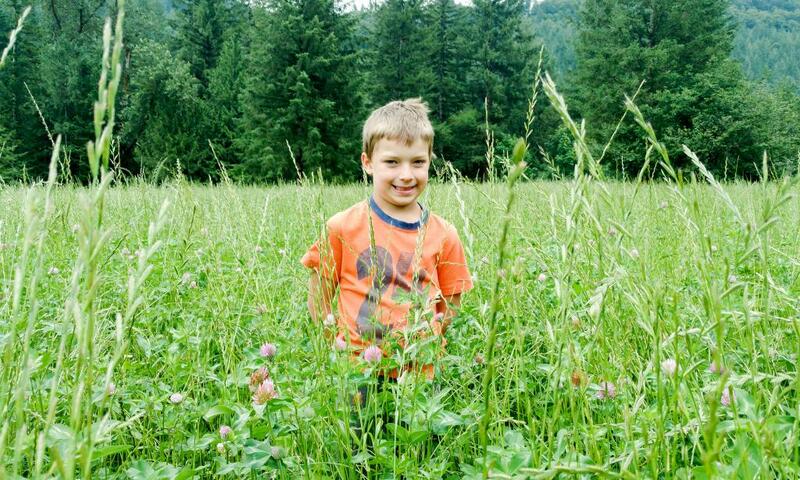 Being a grass fed beef rancher means planting and growing a lot of grass and clover pasture for the cows. 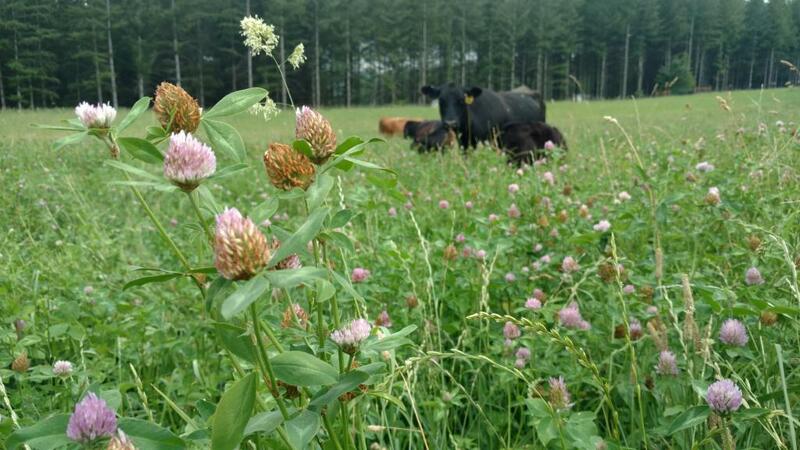 The goal for our beef pasture is to create a pasture that has a "salad bar" of different grasses and legumes (such as white and red clover). 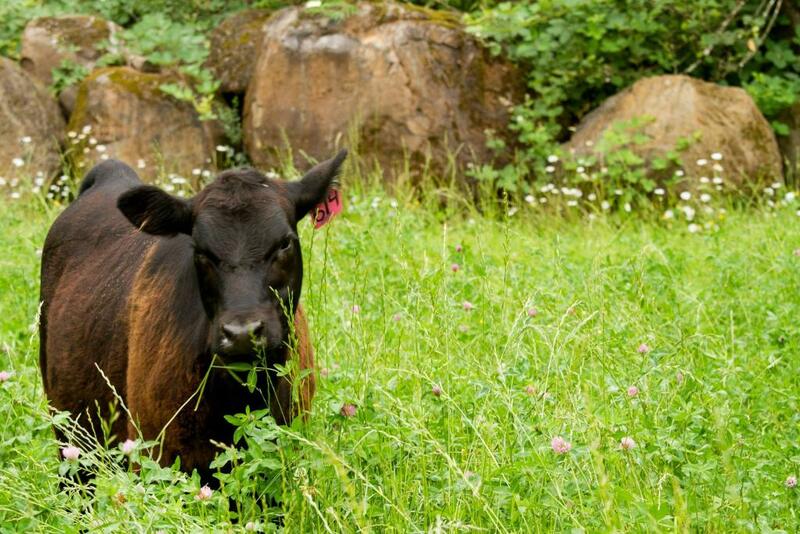 Even many plants that people consider weeds in their lawn, such as dandelion or clover, are actually very nutritious for cattle, and cattle readily eat them. 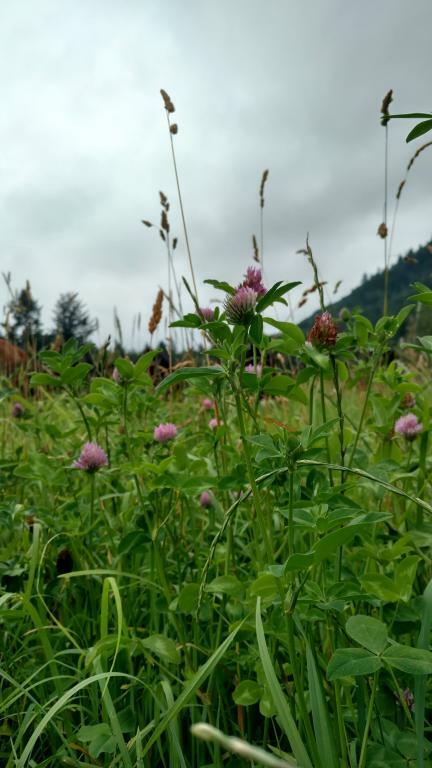 When we need to replant a field we are generally going to plant it with a basic mix of seed that will include: annual ryegrass, perennial ryegrass, orchard grass, fescue, white clover, and red clover. This basic mix gives a good nutritional variety, and many other native grasses and plants will also naturally seed into the field as well, creating a very diverse mix for the cattle to eat. Most of the pasture land that we graze our cattle on is not suitable for growing any other crop other than pasture due to the heavy clay soils and rocky terrain. 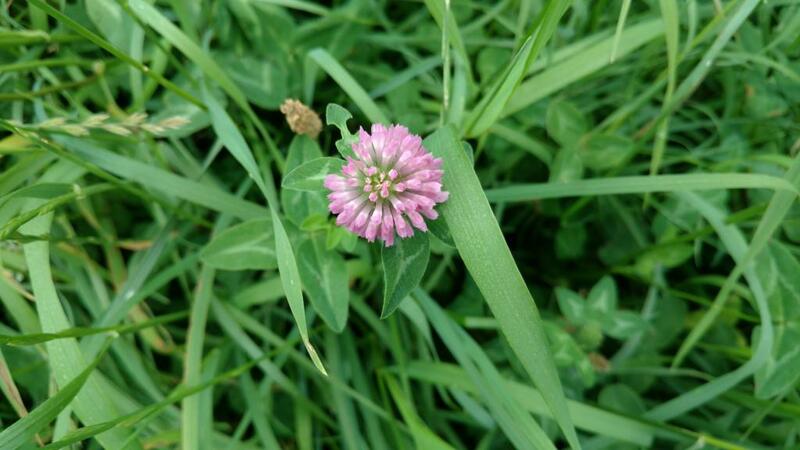 However, over time, when we carefully use good grazing rotation patterns, the clover provides increased nitrogen into the soil, and the action of both manure spreading, and cattle grazing the land, increases the fertility of the soil and further growth of the grass and clover. 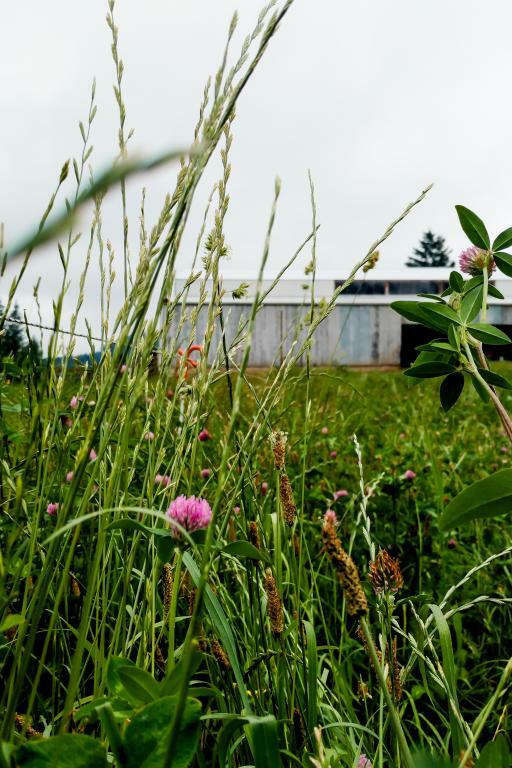 The idea is that we get our pastures growing really well, and balanced with the right forage mix, and then we try and avoid having to till them or replant them very often. By avoiding tilling the pasture very often, we encourage thick root growth that can better handle staying alive through dry periods, and also create grass that will hold up well during wet periods when the cattle are walking on it. Here are some pictures and videos of our pastures and cattle grazing, in the 2nd week of July this year. You can see the ryegrass and red clover are really tall right now, but down below there is also white clover, orchard grass, and fescue growing as well which may become more dominant later. 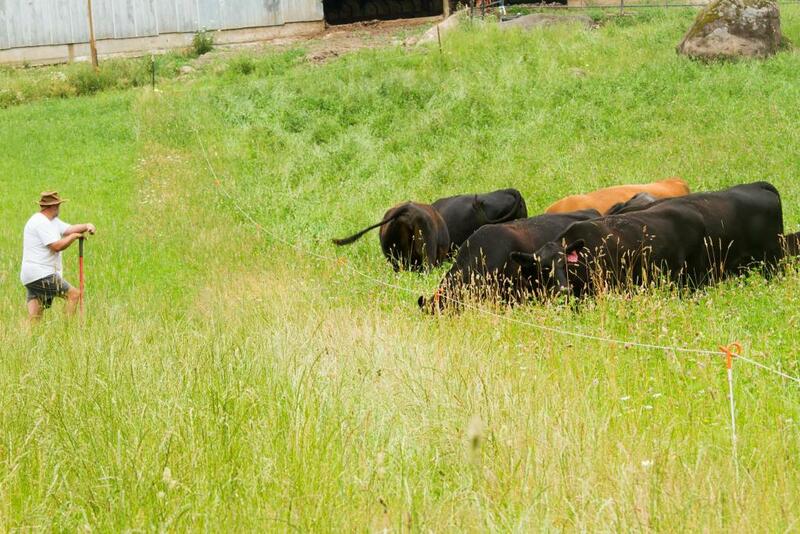 Constantly improving our pastures is probably one of the most important goals of any grass fed beef operation. While it may sound strange to many people to think of pasture as a crop, in a sense, any grass fed beef producer has to also be a "grass farmer."